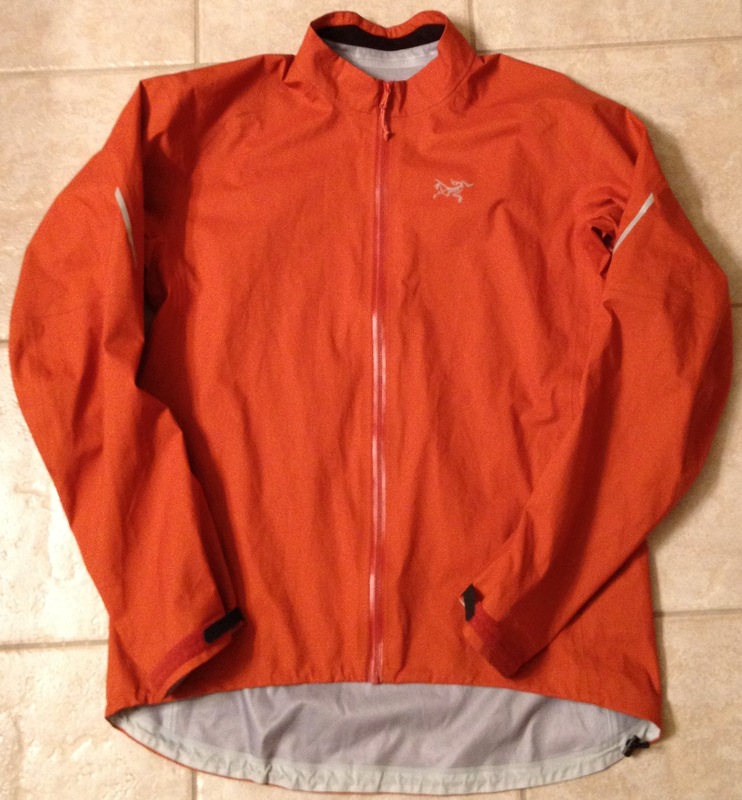 I had the opportunity to wear the Arc’teryx Visio FL jacket a few times this spring. 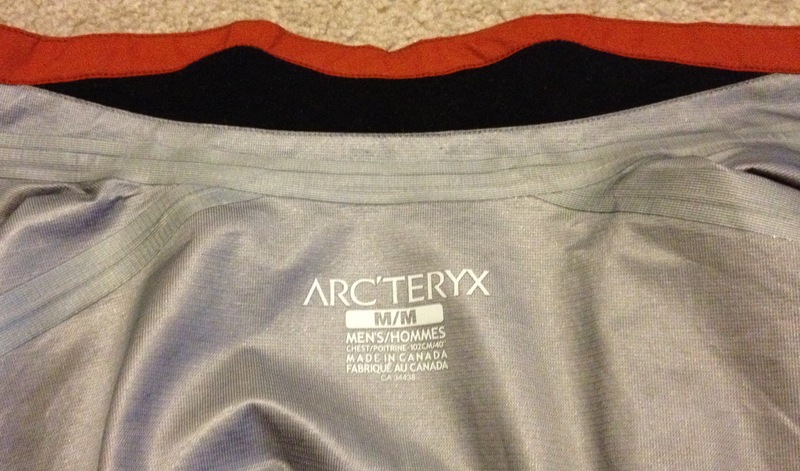 This jacket comes from Arc’teryx’s Endorphin line of outdoor fitness clothing. 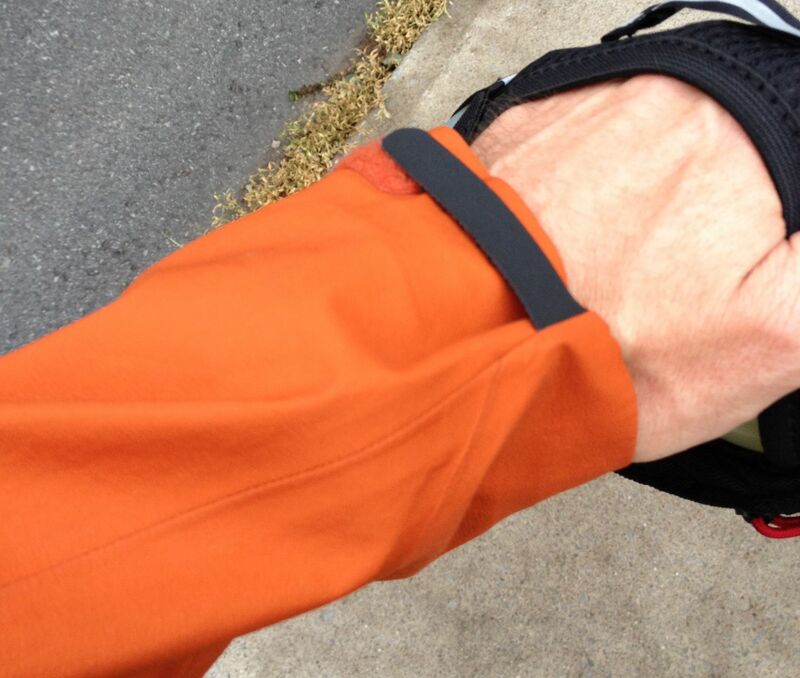 I used it for running, but it would also be great for hiking, walking, snowshoeing, or even cross-country skiing. First off, I should say that I’ve never wished for rain when I wanted to run, but since getting the Arc’teryx Visio FL jacket, I have been wishing for some perfectly wet weather to really test it out. I have had the jacket for a couple of very dry months, but I have decided to finish this review anyway. I can’t keep waiting, and short of running on the spot in the shower I can’t manage to get it wet! I find that the real performance question with this type of jacket is the moisture transfer from the body out, rather than whether it keeps the rain from getting in. 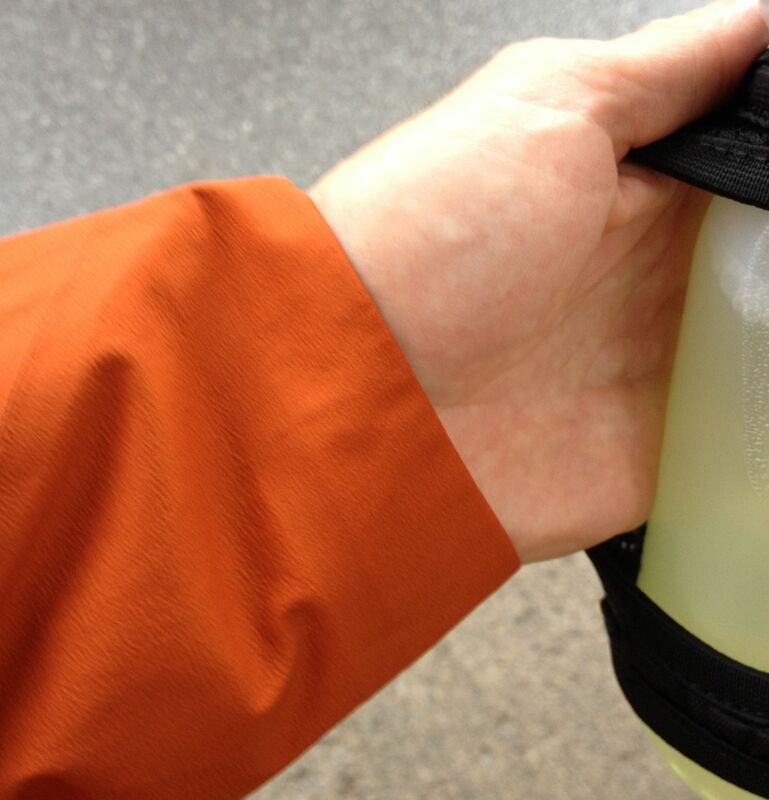 Gore-Tex is a proven fabric that I would expect to have no problem keeping the rain out. 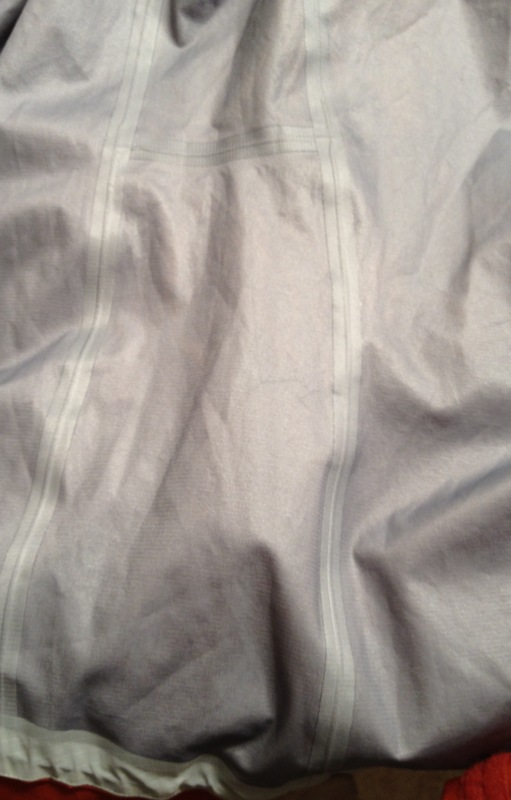 The seams are all taped and the zipper is waterproof. However, once I get a chance to take it for a run in a real downpour, I will definitely update this review. Stuff it in the smallest of pockets! I liked some of the design features in particular. The collar was nicely shaped, with a tapered edge along the back neck line so it didn’t rub and cause discomfort or chafing. The fit of the jacket was excellent. I am 6′ and just over 160 lbs and the medium was great for me. 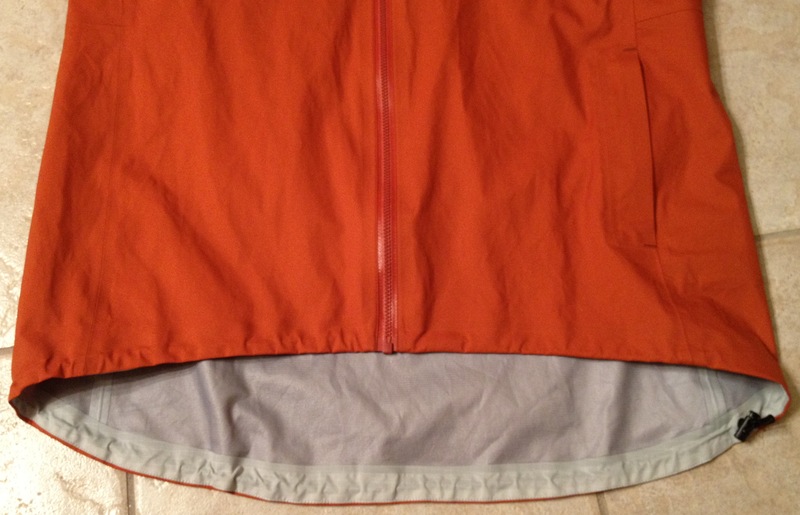 The sleeves and lower back of the jacket were nicely shaped to provide excellent coverage without getting in the way. The articulation in the sleeves allowed a full range of arm motion without my wrists and waist being exposed – this was perfect for running. The lower back was extended enough to provide good coverage. 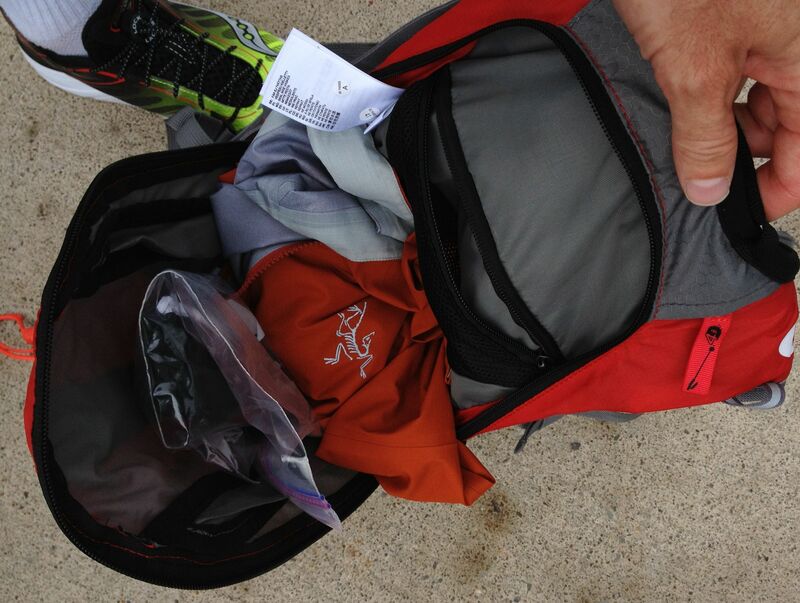 Even when I used this jacket with a tight vest pack, I didn’t have any problems with bunching fabric. One thing to note is that this jacket does not have a hood. Personally, I liked this, but some may not. 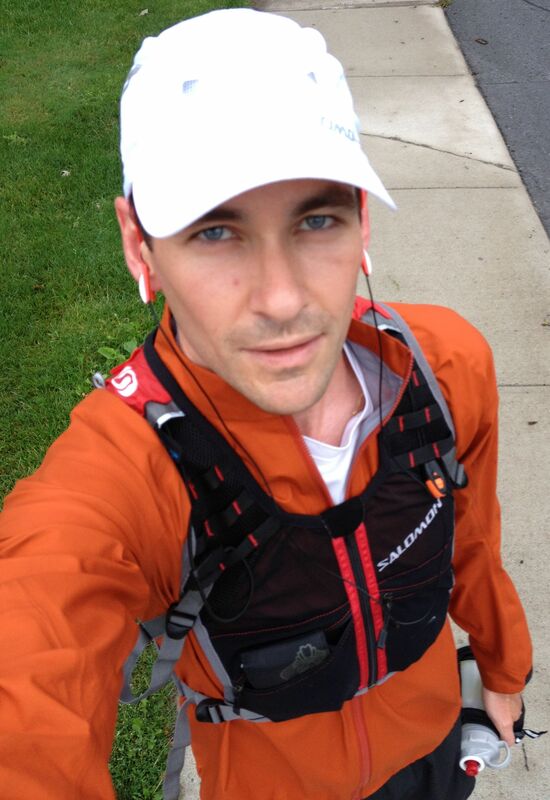 I have never worn a hood while running, and I intend to use this jacket mainly for that purpose. I like that this jacket has a nice snug collar that will keep the rain out, and I can wear a hat to keep my head warm/dry if necessary. I can see an issue if you wanted to use this jacket for racing where a hood is mandatory, but for me I am happy with no hood for training runs. 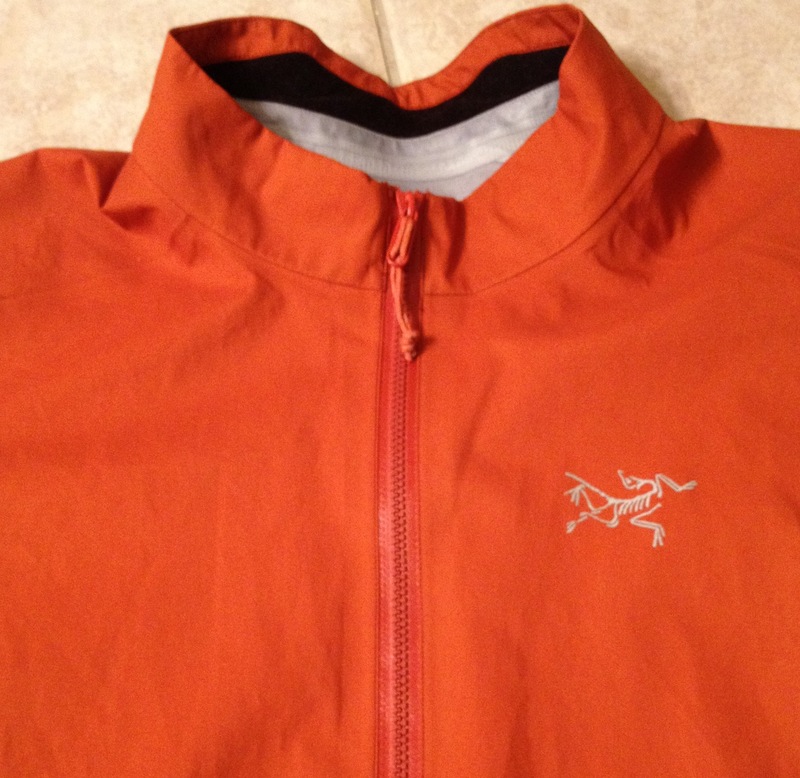 In line with what I have found on all my Arc’teryx gear, this jacket excels in its simplicity. There is a single side pocket that is big enough for keys, gels, a bar, or mp3 player. This is all I would ever carry in a pocket while running, so I appreciated that there were no additional pockets. 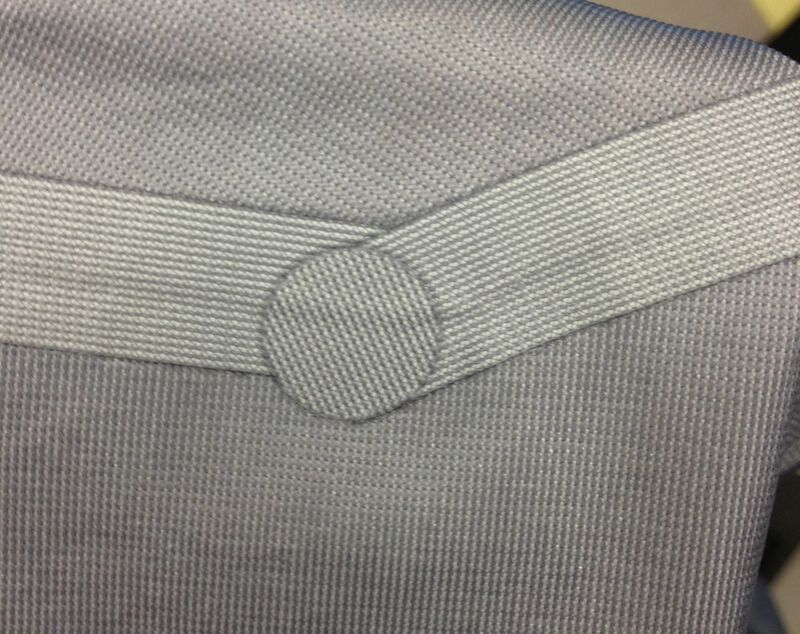 There is an adjustment at the lower hem that allowed me to close it up to keep more heat inside, or open it up to allow heat to vent out of the bottom. The wrists have a single velcro strap to tighten up. Everything else has been wisely stripped off of this jacket to make it great for what it was designed for – vigorous outdoor activity. I can’t wait until fall to use this jacket more. It seems like the perfect spring/fall, and even winter running shell. Yeah I have – it performs like most goretex I have used. Super waterproof and relatively breathable. The best part is that the super light fabric makes it feel airy and less constrictive than normal shell jackets. It’s definitely a nice light choice for being active when it’s raining. I am wearing black one, and this has been the best jacket I’ve ever worn. Ever since I purchased this one, I seldom wear Arc Teryx Theta Jacket. I am even thinking about another one in other color.